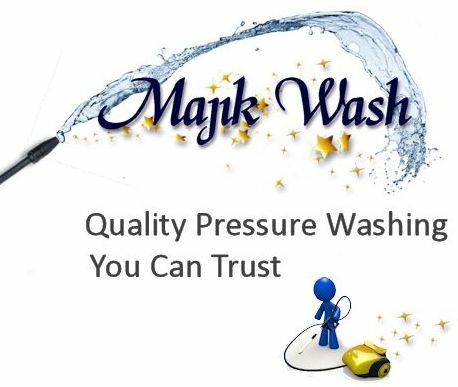 Understanding the fast-paced world of the trucking industry and the needs of our customers, Majik Wash is mobile! You need it pressure washed ... we can do it! Need full service? Click here for more information. Need polishing and detailing service? Click here for more information. We begin with a low pressure wash application of soap which loosens and removes the accumulation of dirt and grime. The second step involves detailed hand scrubbing to get to the deep down, tough dirt, bugs and fine polishing of surface areas. The third and final step is a high pressure rinse to remove all the dirt and soap to provide a high quality clean!